Lazio continue their journey in Europe after picking up a comfortable 2-0 victory against a weakened Sporting Lisbon side, while in the other deciding fixture the Biancocelesti’s competitor Vaslui suffered a defeat against FC Zurich. Those results gave Edy Reja’s side a passage to step into Europa League’s next round as they are three points above their Romanian rival and sitting as runners up behind Sporting, who already confirmed their qualification before Wednesday match. Having the need to pick up a better result than Vaslui in getting through the next round, Lazio were immediately pulling the strings against Sporting, although the Italian still rested several important players for this important tie. However, with Christian Ledesma, Hernanes and Djibril Cisse still being fielded by Reja, the Roman side are pretty much dominating the match since their Portugal rival were also fielding plenty second string players. Despite having more of the opportunities, it took 42 minutes for Lazio to get their goal and it was Libor Kozak who opened the scoring for the home side with a delightful header from Giuseppe Sculi’s cross. The goal gave a comfortable feeling for the Biancocelesti player that turned down their intensity a bit as right after the re-start, Sporting players managed to put some pressure on the home team’s goal, forcing goal keeper, Albano Bizzarri making several saves from Valery Bojinov’s effort. 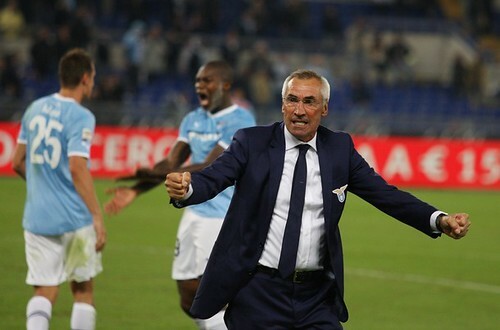 However, after settling things down again, Lazio managed to took the game under their control again and surged for the second goal which would ease up their qualification chance. After several efforts, the home team finally got their second through Sculli, who was sent free by Mobido Diakite’s excellent assist, after the defender made a wonderful run passing several Sporting players before giving the ball to his teammate. Hearing that Vaslui are losing in Zurich, Lazio simply took their foot of gas a little bit as the Roman outfit felt that they have done more than enough to confirm their qualification in the Europa League. The 2-0 scoreline lasted until the final whistle and the Biancocelesti’s players and management looked very delighted at their qualification as that would pretty much helped Italian clubs’ European coefficient points, which has been declining for some time.